Download the current package (30.03.2019) to update the ECUs via USB here. The update files for updating via SD and via computer can be found in the columns to the left of the required system. 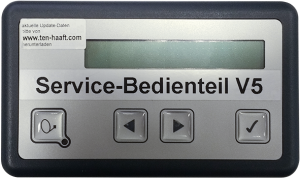 For a Vision and Solar update, a service control panel V5 is required.